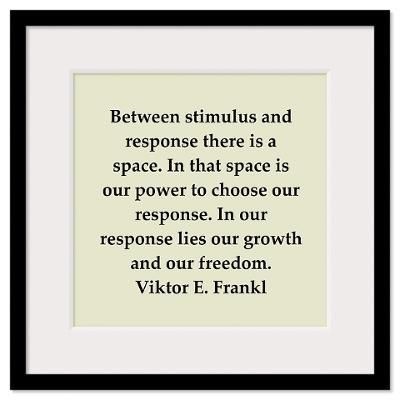 I read, “Man’s Search for Meaning” by Viktor Frankl in grad school, about 25 years ago. I re-read it this week. This powerful book was written in 1946. 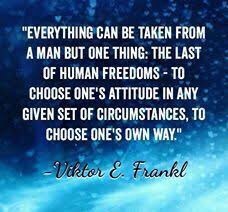 Frankl wrote about his experience, as an inmate in an Auschwitz concentration camp during World War II. The book does not focus on the details of the camp, the war or the torture. He explains how he got through it. This book puts everyday life stressors into perspective, highlights the importance of mindset and can be beneficial to people who have experienced the worst of the worst. I believe everything happens for a reason. Sometimes it takes years to understand the reason. When we remain hopeful, optimistic and have faith, the answer will eventually appear. 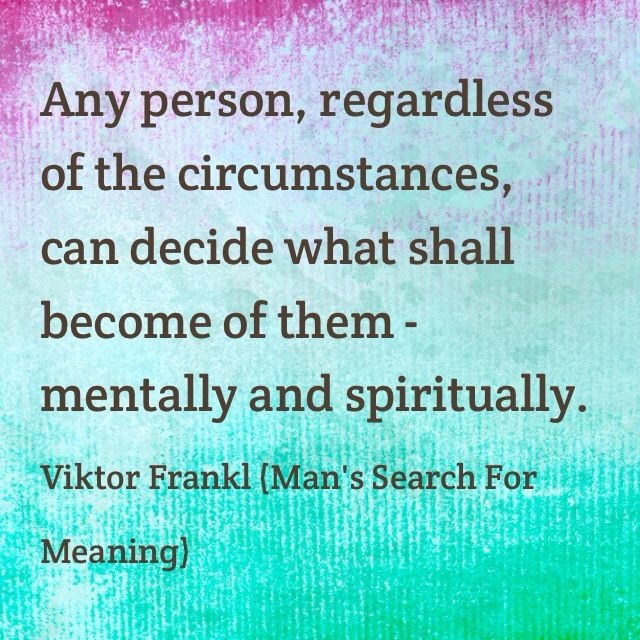 We may not have control over circumstances. We do have control over our perceptions, beliefs and understanding of events. If you come from a fearful, negative, difficult perspective, you will just get more of the same. Next time you are upset, angry or anxious and you’re looking for someone to blame, try digging a little deeper than the obvious. 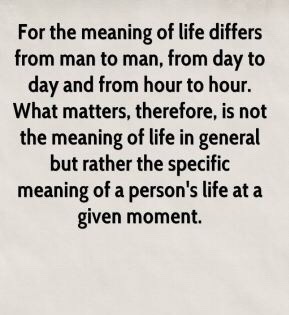 Ask yourself, “Is there is a meaningful purpose in this situation?” At a minimum, all events are teachable moments. We are bombarded with lessons, information and tools we can use to make sense of things. It’s up to you to figure out, the why. Thank you so much for sharing such an insightful post! How clearly and concisely you conveyed your important message!